When I spoke to Rachael Sage a couple of months ago, we spent quite a lot of the interview talking about this album. At the time I’d only heard two or three tracks that were being featured and we talked a lot about the songs that would appeal to the lyrical dancers that form a large part of her following. I realise now that we talked about less than half of the album. As good as the uptempo ‘colourful chamber pop’ (that’s Rachael’s definition) songs are, there are slower, more introspective songs that have more emotional depth while still featuring inventive textures and combinations of instruments centred around Rachael’s classical piano style. The album opens with the slightly faster songs such as the whimsical “Heaven is a Grocery Store Clerk” and the weightier “Loreena”, before “Try, Try, Try” pulls you in with its naggingly insistent and maddeningly catchy fiddle hook. The powerful anti-bullying song “I Don’t Believe It” follows the album’s anthem “Home (Where I Am Now)”, which also appears towards the end of the album in a stripped-down, acoustic version. Beyond this, the album moves into darker, more personal songs taken at a slower pace and evoking the American singer-songwriters of the seventies, particularly Carole King, whose song “So Far Away” Rachael covers in almost a Carpenters style to close the album. And talking of the seventies, I thought I caught a scent of Randy Edelman’s pop piano style in there as well. As the album progresses, the songs range through empowerment (“French Doors”), the end of a relationship (“Clear Today”) and obsession (I’ve Been Waiting”) before finding the tragic emotional depths of “7 Angels”, with its segment of Hebrew lyrics. The only way the album could possibly go from here is the redemption of “It Would be Enough” and a Carole King cover. If sounds a bit sombre, it really isn’t; when the subject matter of the songs is dark and adult, the instrumental arrangements act as a counterbalance to the lyrics, featuring the usual rock instrumentation plus cello, trumpet, glockenspiel, oboe, English horn and accordion and Kelly Halloran’s melodic violin contributions, which shine out whether she’s playing catchy riffs, counterpoint or a duet with the lead vocal on “It Would be Enough”. “Choreographic” is a hugely varied selection of songs played superbly by a great bunch of musicians. It’s hard to believe most of it was written over a week in a hotel in Camden. “Choreographic” is out now on Mpress Records (MP-5444-2). Despite all the dire predictions, there’s still an awful lot of really good music out there at the moment. The downside of this is that it can be difficult to make your songs stand out from the rest. 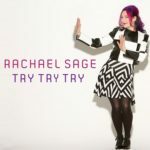 Rachael Sage passes the old grey whistle test on “Try Try Try” with a slightly unusual arrangement, using a combination of slightly distorted violin and electric guitar as lead instruments and a mix of electric and acoustic guitars. It’s easy to see why this made number six on the radio chart in the US; it opens like a Tom Petty song before the intimate, close-miked vocal cuts through, followed by an outrageously catchy violin hook. For the soul fraternity, there’s horns and a Hammond; there’s even a violin solo closely followed by a guitar solo and an acoustic breakdown. All the elements for a great single are there and they’re put together beautifully. 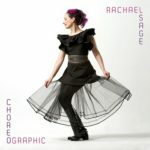 “Try Try Try” is released on Friday September 30th and Rachael’s album “Choreographic” follows on Friday November 11th on Mpress Records. If you want to see Rachael in London, she’s playing at The Troubadour on Friday September 23rd.